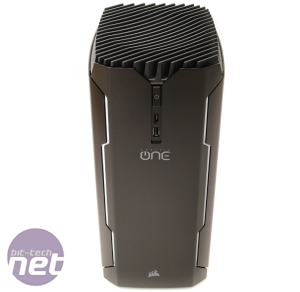 We've been preaching for a long time that ATX systems shouldn't be the first choice of any would-be PC buyer. 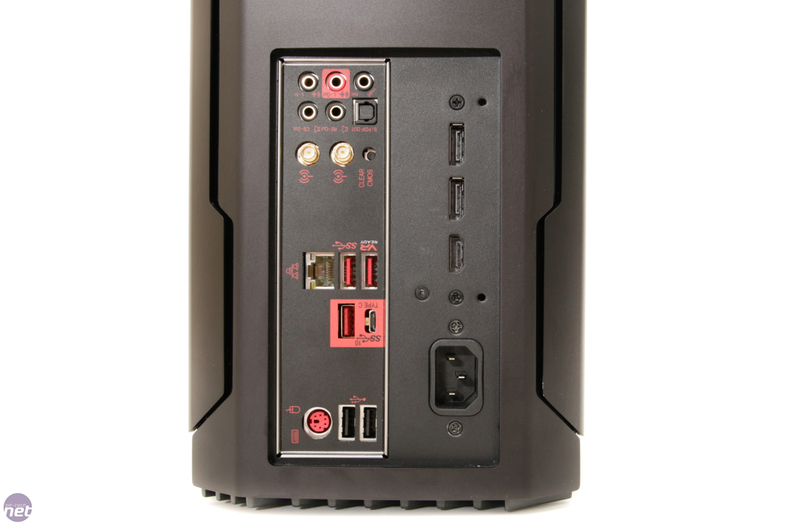 Whether you're a gamer, streamer, or just need something for everyday tasks and content creation, the mini-ITX form factor has everything a single GPU system needs. The onboard audio provided by the latest motherboards is better than it's ever been; they can overclock just as far as their ATX counterparts; and as well as M.2 SSD support, they have enough SATA ports, USB ports, and connectors to satisfy all but a fraction of typical PC users. Sure, they don't offer much of a price cut, but one thing they definitely reduce is the floor or desk space required to own a PC. 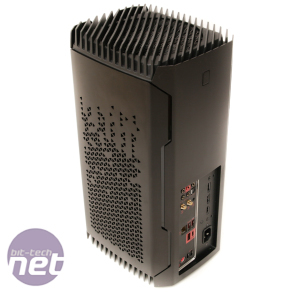 There are plenty of mini-ITX cases out there, of course; many of them are good, too, and Corsair itself offers two. 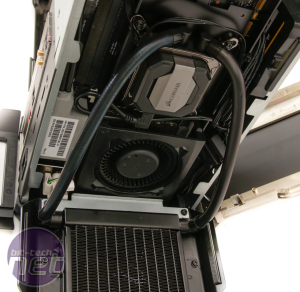 However, both are fairly large, as are many of their siblings that offer water-cooling support - the BitFenix Prodigy and NZXT Manta to name just a couple. 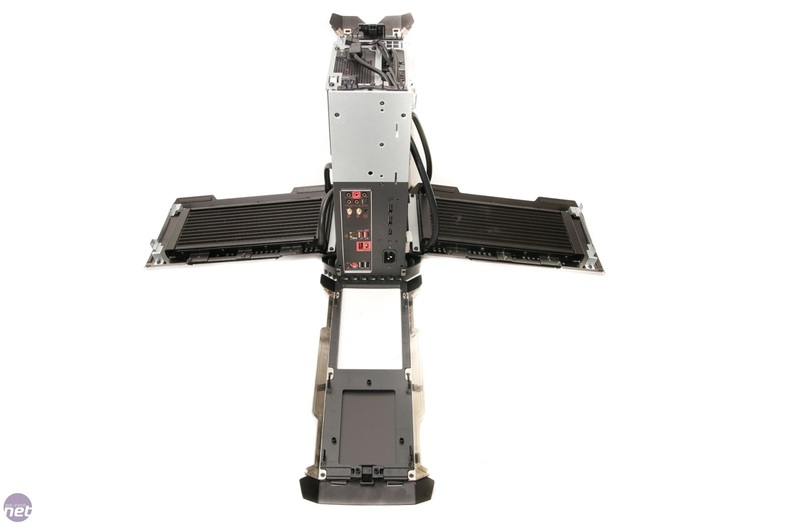 Another alternative would be a cube case such as the Fractal Design Core 500, but they still require a fair amount of desk space. 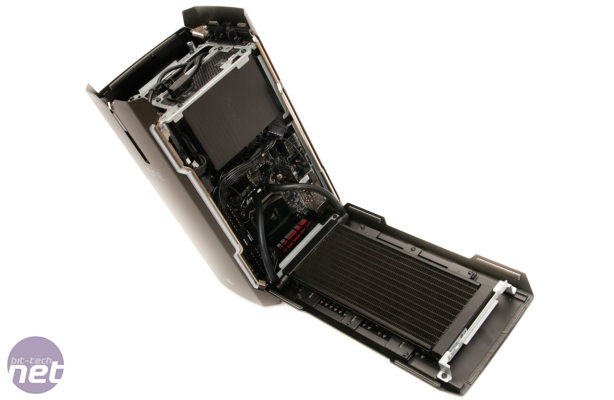 What few have touched on apart from one or two air-cooled cases, a select number of PC modders, and maybe Apple with its Mac Pro is to use a stacked layout - essentially turning a cube/rectangle-style case on its bottom so its footprint is tiny. 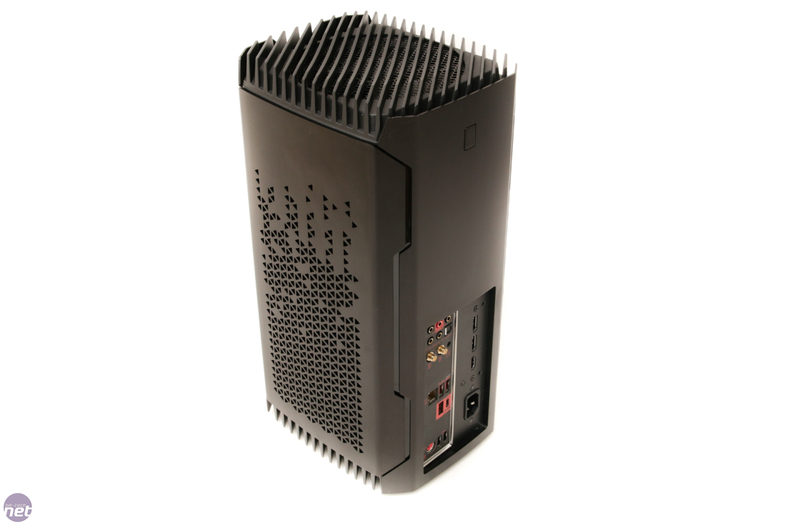 It's the perfect desk case design, as it offers the space for a high end PC in a tiny volume that's still able to cool itself well, depending on the cooling arrangement of course. 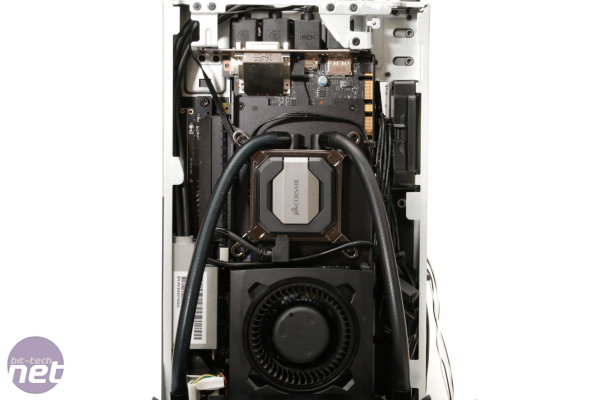 However, while manufacturers such as SilverStone and Lian Li have played with stacked layout tower cases, neither has combined them with an SFX PSU and water-cooling support. 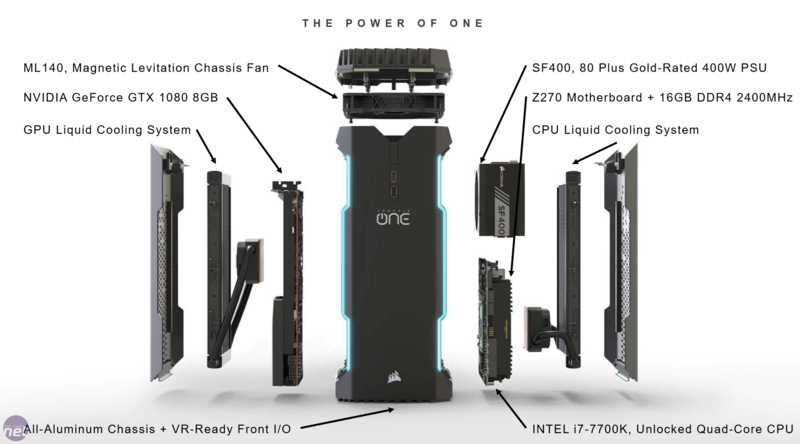 Sadly, the Corsair One Pro hasn't quite ushered in a case that will appeal to water-cooling fans and modders, although when asked, Corsair didn't deny plans to make the chassis available separately. 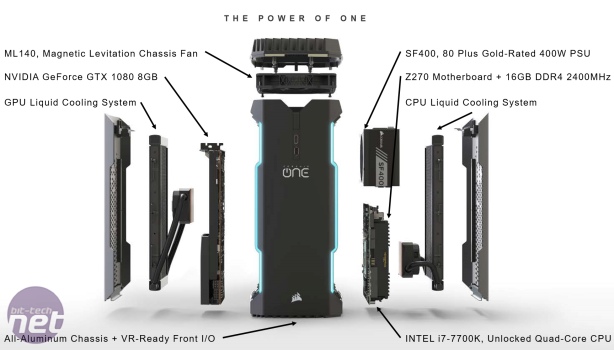 That hasn't been the company's goal here, nor in many of its other cases for the simple reason that Corsair offers some fairly handy all-in-one liquid coolers. The company has plumbed in not one but two sealed custom units with super-slim radiators that cool the CPU and GPU separately. What Corsair has done, though, is create an absolutely stunning high-end mini-ITX PC that comes ready to roll. It's not Corsair's first effort here, of course, as it already has the Bulldog, which, if we're honest, isn't anything particularly wonderful. The One Pro, however, is in a completely different league. 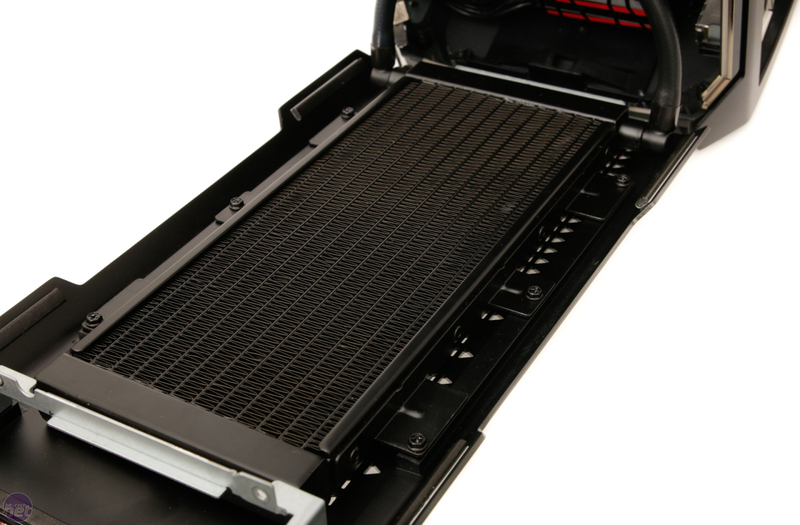 The chassis is barely 20cm wide at its widest point, meaning it occupies about as much desk space as a mid-range PSU,and with a height of just 38cm, it has a volume of just over 13 litres. 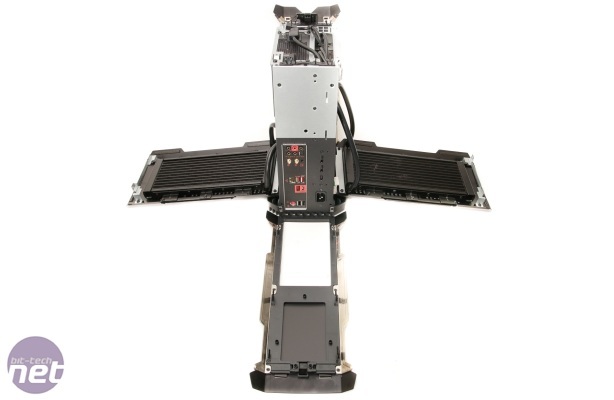 This means it can easily be tucked away behind a monitor or in a recess of a desk hutch if you have one. The only thing you'll need to factor in are the side vents. There's a single 140mm ML-series exhaust fan in the roof, which draws air in through the base and, more importantly, the side panels, so you'll need to make sure the latter are free from obstructions. 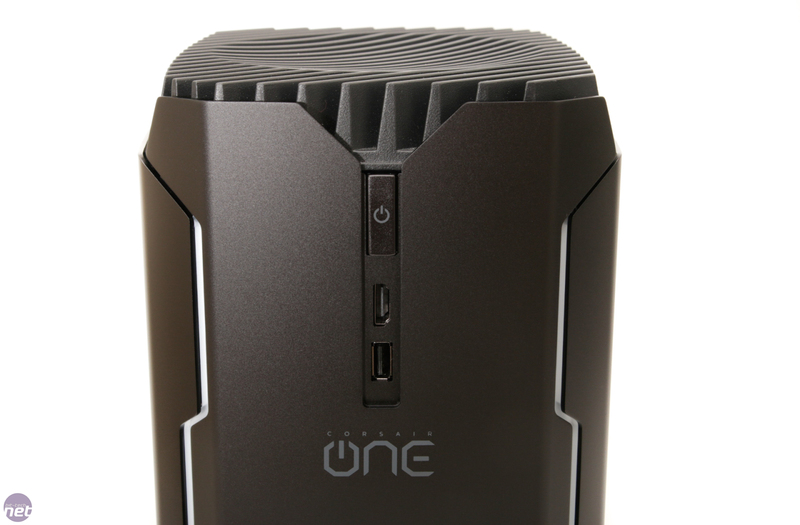 The front panel provides a power button, USB 3.0, and HDMI port, with two DisplayPorts and a further HDMI port on the rear panel thanks to an extension unit running from the Nvidia GTX 1080 (or GTX 1070 with the standard Corsair One which is a little cheaper). There's some Tron-esque lighting too. 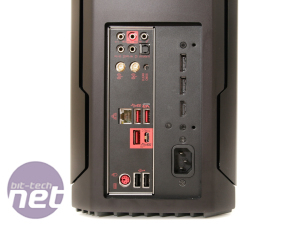 Corsair uses a mini-ITX motherboard that appears to be a customised version of the MSI Z270I Gaming Pro Carbon AC, which provides ALC1220 audio, a total of five Type-A USB ports, including two USB 3.0 and one USB 3.1, plus one USB 3.1 Type-C. You also get 802.11ac Wi-Fi plus a clear CMOS switch, too. Corsair has also gone to the effort of combining all these ports plus a kettle-lead extension to a plate at the rear. It's all extremely neat thanks to there being no PCI slots to deal with either. Of course, we could leave it there, but there are questions to answer about how this all comes together and whether any further tweaking may result in a rather awesome case for DIY PC fans. 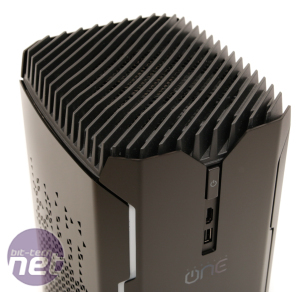 The roof pops off easy enough with the push of a button revealing the single exhaust fan and 400W SFX PSU beneath. 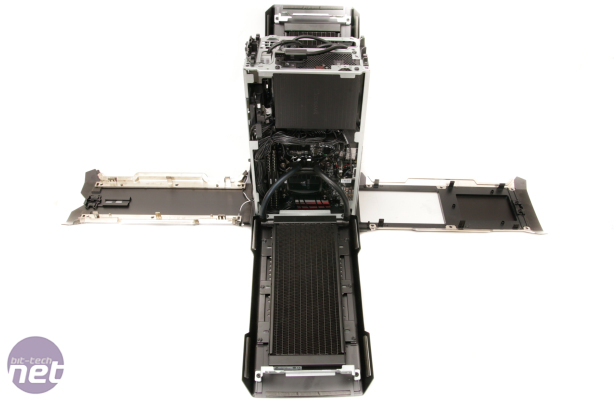 Four screws hold the two main vented panels to the inner steel chassis, and removing these reveals the GPU and motherboard on two different sides of the chassis thanks to the use of a riser cable. The first thing to notice are the radiators. 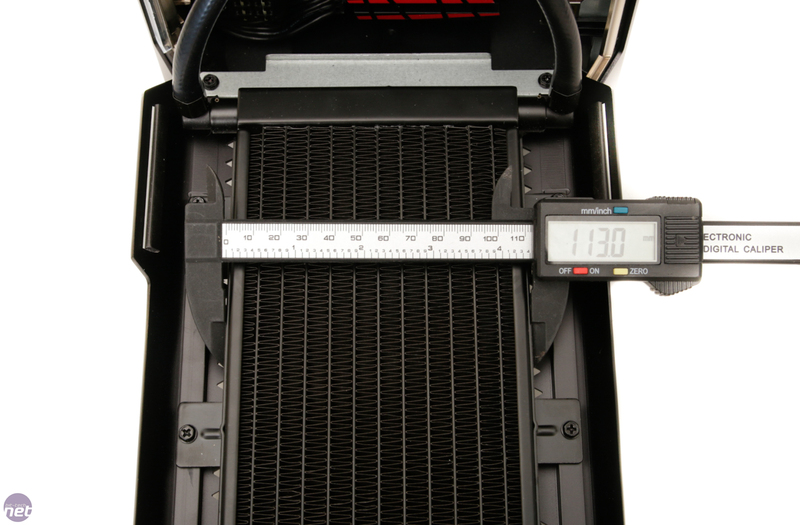 They're not a traditional 120mm or even 92mm, but are 113mm wide and extremely thin - much less deep than 25-30mm often used with all-in-one liquid coolers. 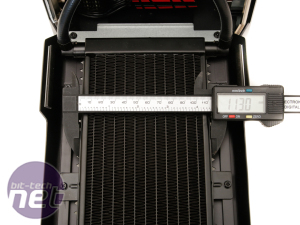 As a result, it's fairly safe to say that a DIY water-cooling loop probably wouldn't be possible here, as even the thinnest radiators available from the likes of Alphacool are thicker, not to mention the need for a pump unless you're using an all-in-one unit such as an Alphacool GPX Pro. 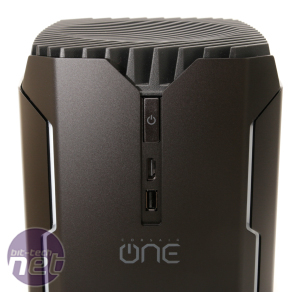 However, by making things a little bigger, this could open up the case to PC enthusiasts. 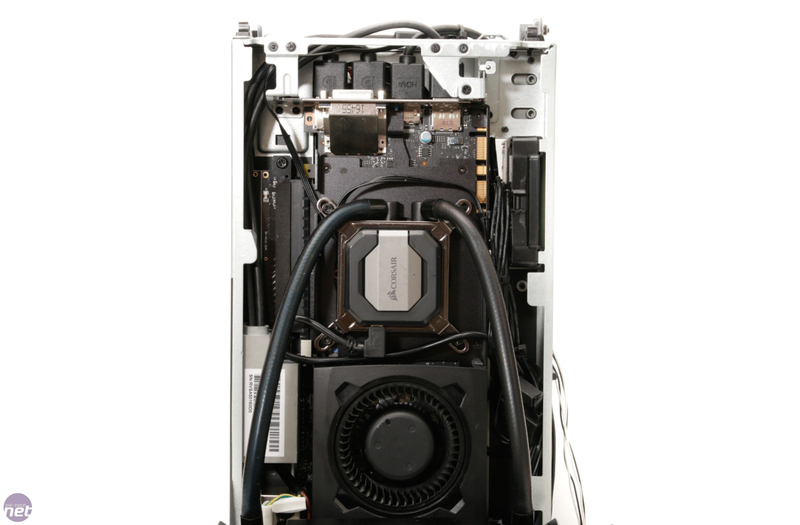 The pumps appear to be a modified version of that used with Corsair's H80i GT, although sadly, while Corsair's Link software was installed, you're not able to tune the pumps down. This may be deliberate given the radiators themselves rely on just the movement of air drawn in through the side panels by the roof fan for cooling. 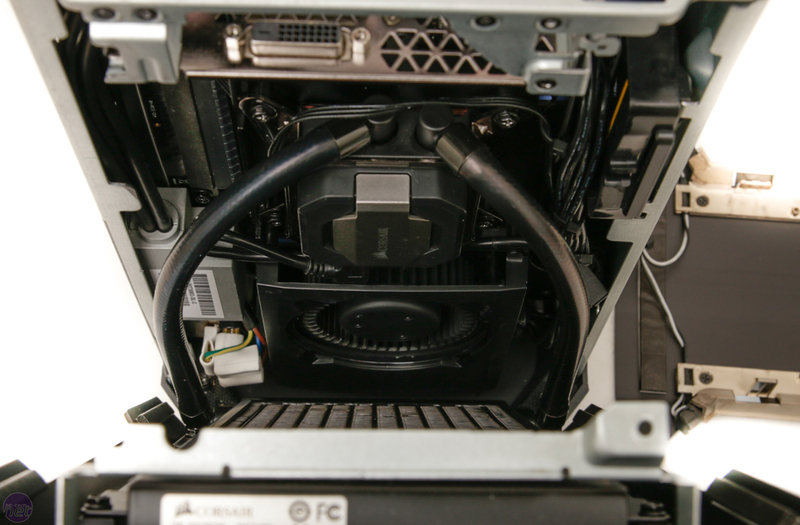 As it stands, combined with the blower-style GPU cooler employed in addition to the pump and waterblock, the PC does have a slight whine that's mainly noticeable at low loads when the rest of the PC is whisper-quiet. Placed more than a few feet away or at medium and high loads when the top fan kicks in, and the noise isn't noticeable. We can't deny the prowess of the internal arrangement, though, which makes use of every square millimetre and even allows you to pop the side panels off easily without kinking the tubing. 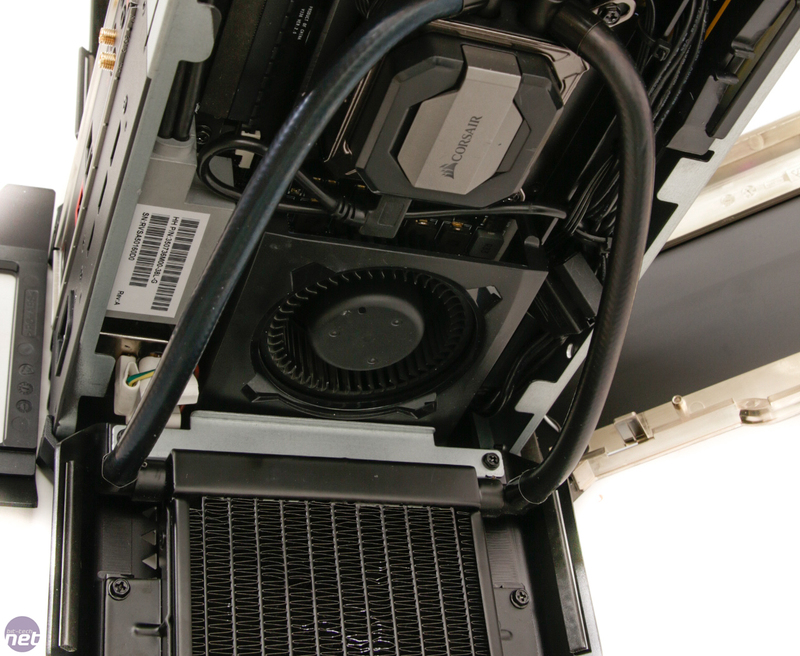 It's in the side panels that we spotted a potentially major issue with the case - there are no dust filters for the radiators. 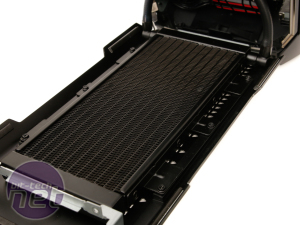 Air is drawn in and is free to pass through the case and out through the top fan unimpeded. From our own experience, the radiators will eventually be clogged with dust, and given how much of a focus dust-prevention and filters are in Corsair's other cases, this seems like an oversight. With the panels being aluminium, there's clearly no scope for fitting magnetic filters, so the only solution will be to pop the side panels off once in a while to vacuum up any dust. This is a shame, as the case is fantastic in pretty much all other areas. Inside there's a fully-fledged Nvidia GeForce GTX 1080 which has been stripped to the PCB and liquid-cooled with a pump and water block unit plus blower-style fan. Around the other side is the MSI motherboard plus 16GB 2,400MHz DDR4 RAM. An M.2 SSD would seem a logical choice in a case such as this, especially as Corsair now has its own in the form of the Force Series MP500, but we were surprised to see a 480GB Corsair Force Series LE SSD in the system. 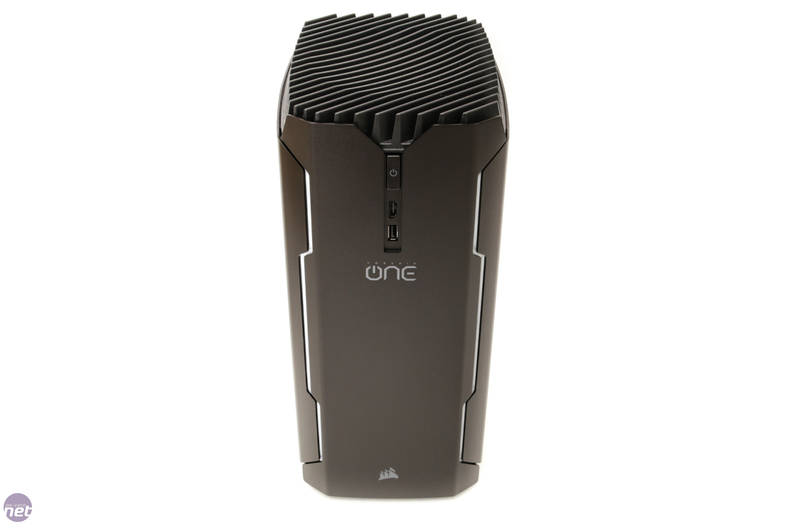 Corsair told us that the MP500 wasn't available when it launched the Corsair One, but an M.2 option may be available in later models. This is paired with a 2TB hard disk with the liquid-cooler on this side dealing with an Intel Core i7-7700K. This comes at stock speed as standard, but being a Z270 chipset motherboard there's clearly the option to overclock it. 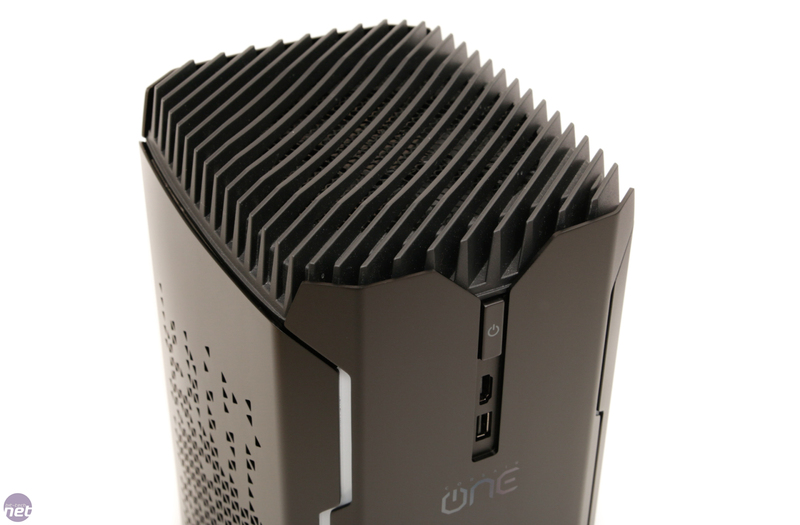 There are several other models too; the standard One comes with a Core i7-7700 non K-edition CPU and a smaller SSD plus a GTX 1070, while web-exclusive models include a larger SSD and even an option for a GTX 1080 Ti, ranging from £1,799 to £2,599. This is clearly a hefty price in any case, but this is no ordinary chassis or indeed ordinary system. 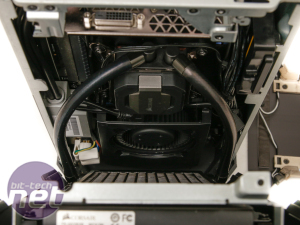 Overclockers UK dishes out some multi-threaded grunt and gaming performance with this AMD system.